The council’s contact centre Hantsdirect recorded all of its telephone calls and as its agents took payments by telephone the Council needed to ensure that all recorded calls were PCI DSS compliant. Hampshire County Council's contact centre, Hantsdirect, provides an efficient "one-stop" service for residents. It fields a broad range of council-related enquiries that include Highways Management, Education, Social Services, Libraries and Waste. Hantsdirect records all of its telephone calls and as its agents can also take payments by telephone, the Council needed to ensure that all recorded calls were PCI DSS compliant. They had a goal to deliver a live PCI DSS compliant solution within six weeks. 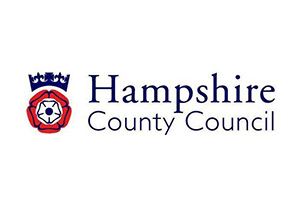 Hampshire County Council selected CallGuard, a solution which makes any call recording system PCI DSS compliant by detecting and blocking DTMF tones. During a call Hantsdirect agents will now ask customers to simply input their card details into their telephone keypad instead of speaking them.